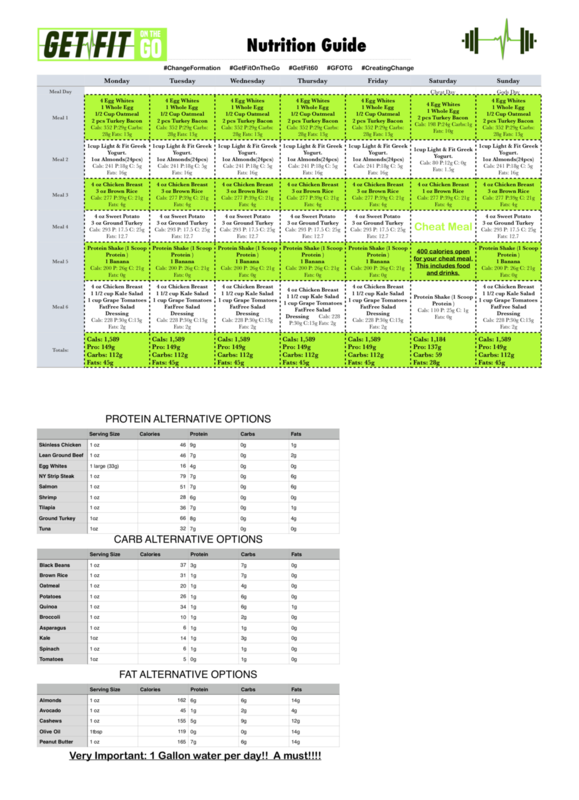 Below is a sample nutrition guide made for 190 lb male looking to loose weight. He has a macro split of 40/40/20 (P/C/F) with a daily calorie budget of 1,595 cals per day. His meals are broken into 6 meals which are spaced through out the day. The goal is for you guys to build your own nutrition plan using the list of foods below the sample plan as primary Protein, Carb & Fat sources. Don’t worry I’ll be here to help you along the way! Click the button at the bottom of the page to find a blank printable Nutrition PDF to fill out!